Height: 7 1/8" Diameter: 4 1/16" Handle Length: 3 15/16"
These musical hand bells have a durable oak handle and a beautiful, resonating ring. 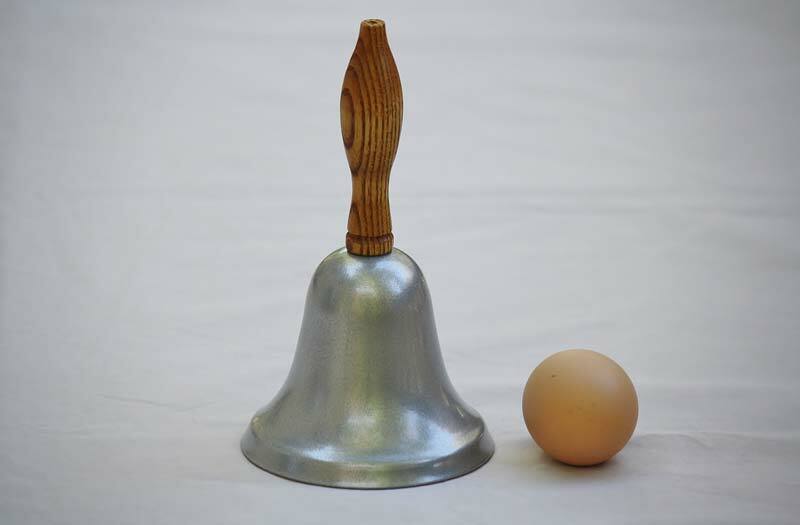 The sturdy steel design is similar to old fashioned hand bells. Use this bell for musical performances and more!